We at Elite Local Locksmith Wigan believe in providing quality services to clients. We provide a wide range of locksmith services to individual in Wigan. Moreover, we also provide our locksmith services to individuals in surrounding areas .Elite Local Locksmith Wigan provides a variety of auto locksmith services to Wigan residents. In instances where you loose your keys, contact us for quick services. We are bound to reproduce car keys for you using special machines. In a scenario whereby your car needs a transponder key, contact us and our team of locksmiths will quickly reproduce a transponder key for you. This is done by changing the code in the vehicle’s immobilizer box and then producing a car key. It is worth noting that we have heavily invested in technology. Consequently, our auto locksmith services are suitable for a wide range of car models. Elite Local Locksmith Wigan also provides lock fitting and lock replacement services. We have the ability to fix any type of lock so as to secure your property. In a scenario whereby your lock is damaged, we will fix a new lock for you. Thirdly, our team of technicians has the ability of carrying out UOVC repairs .We can carry out repairs on all types of doors, windows and conservatories thus leaving your UPVC as good as new .Our experts will also carry out these repairs quickly so as to reduce inconveniences that come about as a result of these repairs. When your loose you car or house keys our tem of experts will provide you with emergency locksmith services to enable you to quickly access your property. Our emergency locksmith services are quick and affordable. Elite Local Locksmith Wigan also provides safe entry services. These services are fast .in addition to that, the contents of the safe are not destroyed. The security of commercial property is vital. 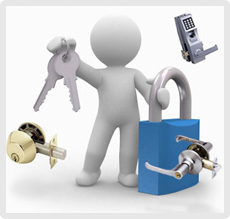 To this effect, we provide commercial locksmith services to individuals and companies. In line with our tradition of upholding security, Elite Local Locksmith Wigan can install a host of security systems. Some of these security systems include alarm systems, anti burglar systems and CCTV among others. Our team of experts will also carry out regular security reviews. These reviews are important due to the fact that they point out loopholes in the security system thus boosting security. Other services provided by Elite Local Locksmith Wigan include key cutting, key replacements, access control, security upgrades and key programming among others.